Any natural or legal person may own a trademark. Under the Trademarks Act (Chapter 416 of the Laws of Malta) (TA), any sign that is capable of being represented graphically and that is capable of distinguishing goods or services of one undertaking from those of other undertakings may be registered as a trademark. A trademark may, in particular, consist of words (including personal names), figurative elements, letters, numerals or the shape of goods or their packaging. mark consists of the unauthorised use of a specially protected emblem in Malta, in Paris Convention countries or in international organisations. The above-mentioned graphical representation requirement implies that it is not possible to register marks that are not capable of being represented graphically, including ‘non-traditional’ marks such as smells and tastes. However, upon the implementation into Maltese law of the Trademarks Directive (2015/2436; the Directive) (which amends the Trademark Directive 2008/95/EC), the graphical representation requirement will be removed from Maltese law and, as a result, it is expected that it may be possible to register non-traditional Maltese trademarks. use of the mark in Malta is liable to be prevented by virtue of the law protecting unregistered trademarks or other signs used in the course of trade, copyright or registered designs. Under the Commercial Code (Chapter 13 of the Laws of Malta), unregistered trademark rights may be established without registration on the basis of prior use. In this respect, the Commercial Code provides that regardless of whether a name, mark or distinctive device has been registered as a trademark in terms of the TA, traders may not make use of any name, mark or distinctive device capable of creating confusion with any other name, mark or distinctive device lawfully used by others. A trademark application that does not encounter any objections from the Malta Industrial Property Registrations Directorate (IPRD) would typically take around six months from filing of the application to be granted registration. The fee of €116.37 is due to the Malta IPRD for every class of goods or services covered by a trademark application. Generally, applicants instruct lawyers to draft the specification of goods and services and to file the application on their behalf, and as result, professional legal fees would be incurred. Furthermore, if the trademark examiner raises any objections, then this is most likely to extend the time frame for registration and increase the costs associated with the registration. It is to be noted that from the perspective of the Malta IPRD, no documentation is required to file a trademark application. Legal counsel generally request a power of attorney in order to file a trademark application on behalf of an applicant. The Nice Agreement Concerning the International Classification of Goods and Services for the Purposes of the Registration of Marks is implemented as a trademark classification system by the Malta IPRD by way of practice. The Malta IPRD’s online trademark application portal permits the submission of multi-class applications. However, the concept of a multi-class application is alien to Maltese trademark law. Each class covered by a trademark application is considered an individual trademark, attributed its unique trademark registration number and examined on a sole basis, and individual renewal procedures and fees would be due. Upon receipt of a trademark application, the Malta IPRD examines whether it falls foul of the absolute grounds for refusal or the relative grounds for refusal referred to in question 2. In examining relative grounds for refusal, the Malta IPRD examines potential conflicts with other registered Maltese and European trademarks. In this respect, it should be noted that as opposed to the practice under the European Trademark Regulation (2015/2424) and the practice adopted in many European countries, in Malta, conflicts with other registered Maltese and European trademarks are a ground for refusal of trademark registration that is raised as an objection by the Malta IPRD itself and not by third parties. Letters of consent would typically be accepted to overcome an objection raised by the IPRD in relation to a third-party mark. When applicants receive an objection to their application from the Malta IPRD, they are given the opportunity to make representations to the Malta IPRD or make amendments to the application. Use of a trademark is not a prerequisite for successful trademark registration; however, it may assist in proving that the mark is to be registered, as it has acquired distinctiveness through prior use. On application at the First Hall, Civil Court (Civil Court), third parties may successfully obtain revocation of a registered trademark on the basis that the registered trademark has not been put to genuine use in Malta within a period of five years following the date of its registration. Further to the above, it should be noted that trademarks of a foreign country that is a member of the World Trade Organization or a party to the Paris Convention are granted a right to priority to trademark registration in Malta for a period of six months from the date of filing of the foreign trademark application. A decision of the Malta IPRD that provides for a refusal of trademark registration of an application may be appealed before the Court of Appeal. Third-party opposition proceedings during the trademark application process are not present under current Maltese law. Third-party opposition proceedings are expected to be introduced upon the implementation of the Directive into Maltese law. A Maltese trademark registration initially remains in effect for 10 years, with the possibility to renew for further periods each of 10 years when due for expiry. Trademark use is not a requirement for trademark maintenance. constituting a bar to later-filed applications on the basis of confusing similarity with the earlier trademark. A licence may be recorded in the Malta IPRD trademarks register. In order to be valid and in force between the parties thereto, a licence requires no formality other than being in writing under Maltese law. However, trademark licence rights may be enforced against third parties from the date of registration of the licence in the Malta IPRD trademarks register. Both unregistered and registered trademarks may be assigned under Maltese law. Furthermore, an assignment may cover all or some of the goods and services covered by the mark. Upon the implementation into Maltese law of the Directive, a transfer of the whole of the undertaking includes the transfer of a trademark (unless there is an agreement to the contrary or circumstances clearly dictating otherwise). The only requirement for a valid trademark assignment under Maltese law is that the assignment must be in writing. Assignment registration is not necessary for the purposes of its validity under Maltese law. However, the assignment becomes effective against third parties upon its recordal in the Malta IPRD trademarks register. Pledge and security by title transfer are recognised forms of security interests over trademarks in Malta. Security interests may not be recorded in the Malta IPRD under current Maltese law. However, they may be registrable in other (non-trademark-specific) public registers. Furthermore, upon the implementation of the Directive, it is expected that security interests will become registrable in the Malta IPRD’s trademark register. Markings such as the word ‘registered’ and any other symbol or word importing a reference to registration may be used to indicate that a good or service is protected by a trademark. However, use of such markings is not mandatory. Furthermore, there are no strict legal benefits in using the ‘registered’ or similar symbols; however, this may serve as a deterrent to potential infringers by making it evident that the mark is a registered trademark. It is an offence to make use of these markings, or otherwise represent that a mark is registered, if it is not. Trademark proprietors may enforce their trademark rights in Malta at the suit of the Civil Court. The remedies available include destruction of infringing merchandise and recall of its circulation, injunctions to prevent continued infringement and awards of pecuniary damages. It may also be possible for a successful party to recover legal costs. Customs also operates a very effective border enforcement programme against the circulation of counterfeit goods by seizing ex officio goods that are suspected to infringe trademark rights. In order to benefit from ex officio seizure by Customs, the trademark registration must also be recorded with the Customs IP database. Both Maltese and European trademarks may be recorded with Customs. Following seizure, a civil action at the suit of the Civil Court would be necessary for the trademark owner to enforce its rights against such counterfeit goods. In terms of criminal law provisions regarding trademark infringement, it should be noted that both the TA and the Criminal Code (Chapter 9 of the Laws of Malta) provide for an array of acts that may amount to criminal offences. Broadly, the acts that may amount to a criminal offence are those relating to intentional unauthorised use, false trademark representations, and commercial and industrial trademark fraud. 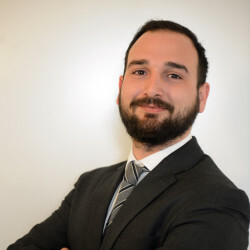 From a procedural perspective, the procedure adopted in civil trademark infringement proceedings is identical to the procedure adopted in the general Maltese civil litigation system. Live testimony, appointment of experts, submission of evidence orally or by way of affidavit and other documentary evidence are all possible. Civil trademark infringement cases are decided by a judge sitting in the Civil Court. Infringement cases against counterfeit goods tend to be very expeditious, generally not requiring more than two sittings. Timing of other infringement actions may vary greatly depending on the subject matter or the merits of the case. In terms of the criminal enforcement mechanism in Malta, generally it is the police that prosecute an alleged infringer. In civil proceedings the burden of proof lies with the claimant and is established on a balance of probabilities. In criminal proceedings, the burden of proof also lies on the claimant; however, the criminal offence must be proved beyond reasonable doubt. Trademark owners have the right to commence an action for trademark infringement, whereas a licensee is entitled, unless the licence specifically provides otherwise, to call on the owner of the trademark to take infringement proceedings in respect of any matter that affects its interests. If the owner refuses to do so or fails to do so within two months after being called upon by the licensee, then the licensee may bring the proceedings in its own name as if it were the proprietor. Further, an exclusive licence may provide that the exclusive licensee is entitled to bring infringement proceedings in its own name against any person other than the proprietor. Criminal proceedings are generally initiated ex officio by the executive police. A complaint procedure is also in place whereby complaints may be filed against the executive police in order for the police to initiate criminal proceedings. Maltese trademarks confer protection only in Malta. However, the Maltese courts may take into consideration activities taking place outside Malta in support of a claim of infringement of a trademark in Malta. It is possible to request an order from the Civil Court to the effect that evidence that is in control of an opposing party be presented in court by the opposing party (subject to the protection of confidential information). Provisional measures to preserve evidence are also available. Before the commencement of proceedings on the merits of the case, a person who has filed reasonably available evidence to support his or her claim that his or her trademark rights are infringed or about to be infringed, may request the court to order such prompt and effective provisional measures as it considers appropriate to preserve relevant evidence in respect of the alleged infringement. Such measures may include the detailed description, with or without the taking of samples, or the physical seizure of the infringing goods and, in appropriate cases, the materials and implements or distribution of the said goods and the documents relating thereto. has been indicated by any of the persons referred to above as being involved in the production, manufacture or distribution of the goods or the provision of the services. Preliminary injunctions tend to be very expeditious, many times decided by no more than one court sitting. Trial levels and appeals tend to vary greatly in terms of timing depending on the complexity, subject matter and merits of the case. However, cases involving counterfeit goods where the infringer does not present a defence and is represented by curators tend to be very expeditious and not involve more than two court sittings. The costs associated with trademark cases may vary greatly depending on the complexity of the case and therefore they are very difficult to predetermine. Cases involving counterfeits tend to be less expensive as typically only around two sittings would be required, given that the alleged infringer would not be opposing the case. In terms of recovery of legal costs, it is generally possible for the successful party to recover such costs. However, in actions involving counterfeit goods, since the alleged infringer does not generally defend the case, the successful party would have to bear all costs associated with the proceedings. Decisions of the Malta IPRD and of the Civil Court may be appealed to the Court of Appeal. Decisions of the Criminal Court may be appealed to the Criminal Court of Appeal. acquiescence to infringing use for a continuous period of five years. The civil remedies available include the destruction of infringing merchandise and recall of its circulation, injunctions to prevent continued infringement (preliminary and permanent) and awards of pecuniary damages. It may also be possible for a successful party to recover legal costs. In terms of criminal remedies, the Criminal Court may order both fines and imprisonment depending on the specific criminal offence. Recourse to arbitration proceedings is generally slowly gaining traction, largely because arbitration is seen to be a cheaper, faster and a more flexible form of dispute resolution. However, it is to be noted that Malta provides for concurrent jurisdiction of courts and arbitral tribunals. A proprietor of a foreign trademark that is entitled to protection under the Paris Convention as a well-known trademark is entitled to restrain by injunction the use in Malta of another mark that is identical or similar to the proprietor’s well-known mark (and in relation to identical or similar goods or services for which the mark is well known). In this respect, it must be proved that, on a balance of probabilities, the use of such mark is likely to cause confusion to the relevant public. At present, in order for a trademark to be registered in Malta, the trademark examiner must first perform a search for identical or similar trademarks on both national and European levels. Once this search has been carried out and no identical or similar trademarks are found, an applicant is notified on whether or not his or her trademark is registrable in accordance with the provisions of the TA. On the other hand, applicants applying for an EU trademark (EUTM) who would like a comparative search to be carried out to determine whether identical or similar trademarks have been previously registered must formally request the EUIPO to conduct such comparative search. Findings of similar trademarks as a result of this search do not disallow the registration of a similar EUTM per se. To prevent any similar trademarks being registered, opposition proceedings must be initiated following the publication of the EUTM on the basis of such EUTM being in conflict with the opposition’s earlier mark. This approach implies that even if the applicant’s EUTM is similar or identical to an existing EUTM, the EUIPO would still register such trademark, provided that the trademark satisfies the provisions of the applicable trademark law. The local trademark registration process is therefore seemingly more cumbersome than the registration process at EU level because the comparative search is carried out automatically. 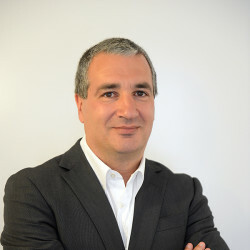 This time-consuming process means that entities that cannot afford to register their mark at EU level or have no interest in registering their mark for protection on a European level are at a disadvantage because the IPRD will compare both national and EUIPO search results before an application for a trademark can be registered (or refused) in Malta. For these reasons, the IPRD has proposed to eliminate the aforementioned search used in respect of local trademark applications. The IPRD proposes that local applications will be published for opposition, giving proprietors of earlier marks two months to initiate an opposition claim that, if proven, may result in the latter application of the identical or similar trademark to be refused. 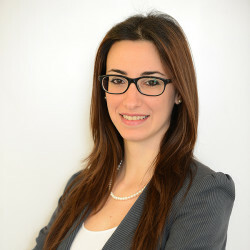 Camilleri Preziosi commands an outstanding reputation amongst clients and peers as a leading Maltese corporate law firm. We are regularly ranked as a top-tier firm by Chambers, IFLR1000 and Legal 500.